Please provide with Hansa with some basic business information. You will then have access to see prices and purchase from us. Becoming a customer of Hansa USA gives you access to the newest Promotable jewelry products at prices that cannot be beaten. You will be able to see the newest products immediately, have access to special Web-Only deals, and be able to see our special Hot Deal closeout. I have read Hansa Terms of Business. 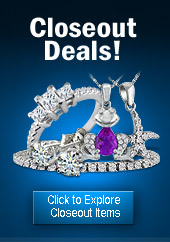 I certify that I am a wholesale buyer of jewelry and not a consumer.